Redvision has a unique heritage in CCTV manufacturing. The Redvision brand is synonymous with rugged CCTV solutions for tough locations. Redvision CCTV camera brands include the pioneering, X-SERIES™ rugged PTZ dome camera; the VOLANT™, the fastest, quietest and most accurate rugged PTZ camera in the industry; and the VEGA™ rugged camera enclosure. Redvision cameras are IP68 weather-proof rated. They exceed the demands of the commonly quoted IK10 shock and impact-resistance rating, as well as IEC vibration, and salt spray compliance requirements. More importantly, they also surpass our in-house, shock and impact testing criteria, designed to replicate conditions in the most demanding surveillance applications. Our cameras have a durable, die-cast aluminium body, which is not only tough, but also offers cooling benefits in hot climates. Redvision camera options include a wiper, to remove water or dirt from the optically-correct camera window; white-light or IR, LED illuminators for night-time operation; and a range of mounts, brackets, RAL colours and marine finishes. Redvision provides IP and analogue models of the X-SERIES™, VOLANT™ cameras, including Full HD, IP with 30x optical zoom and SD analogue with 20x or 30x optical zoom. Our IP cameras provide seamless, network integration. They are ONVIF compliant and we have developed SDK integration protocols for most leading manufacturers’ control equipment or video management software (VMS). All Redvision cameras are popular with architects, specifiers and end users. 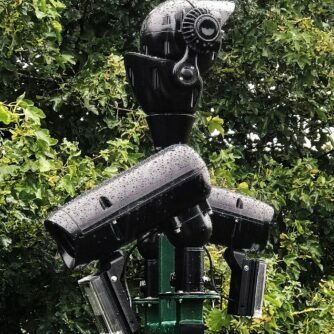 They are successfully used in many outdoor and public space applications, from town centres, utilities and universities through to ports, prisons, industrial buildings, MoD sites and premier league football clubs. Redvision’s X-SERIES™ rugged PTZs and VEGA™ housings now have a tough, polycarbonate camera window option. Redvision’s X-SERIES™ rugged PTZ dome camera range and the VEGA™, rugged camera housings now have a tough, polycarbonate camera window. 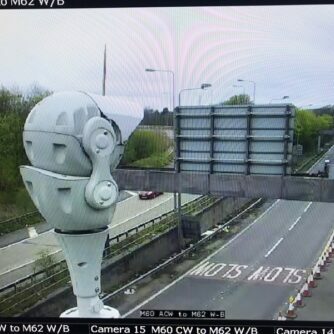 Redvision X-SERIES™ PTZ cameras are used by Graham Firth Communications in the new, M62, traffic management system for Highways England. Seventy Redvision X-SERIES™ rugged PTZ dome cameras have been used by Graham. Redvision’s cameras help to protect Dunsfold Park airfield. 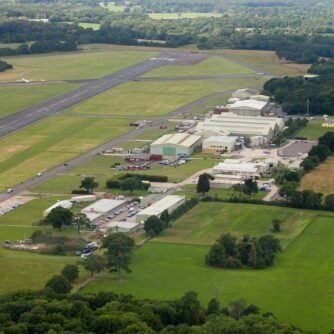 Dunsfold Park Aerodrome, near Guildford, Surrey, was constructed as an emergency airfield. 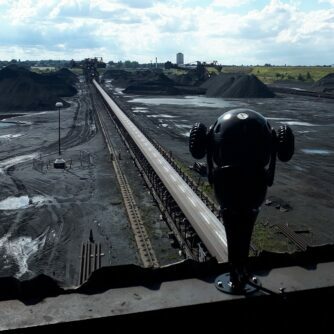 Videcom installs Redvision, rugged PTZ cameras at British Steel, Scunthorpe. Redvision rugged CCTV cameras are helping to protect and manage the British. Redvision showcases the practical, ergonomic, design of its VEGA™ 2010 rugged camera housing. Redvision has released an image of its new, VEGA™ 2010, rugged camera, housing, with its. The Redvision VEGA™ 2052 gets tough on bullet cameras. The Redvision VEGA™ 2052 takes rugged, outdoor cameras to another level. It is made from. The Redvision VEGA™ 2010 rugged camera housing has a PoE-driven, wiper option. Redvision has added a PoE-driven, wiper option to its VEGA™ 2010, rugged camera, housing range.